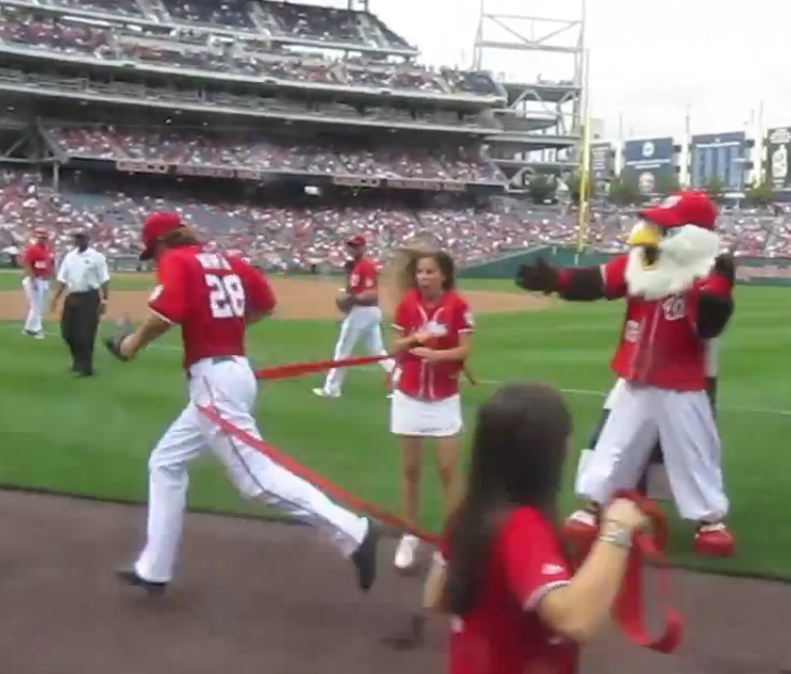 Video evidence that Jayson Werth acted alone | Let Teddy Win! I tried to read the script in the Nats dugout detailing the race to see who was really intended to win, but it’s just a bit too much out of focus. The one thing I didn’t like about Werth’s interference was that last kick at George’s heels, that’s a foul in any sport. I was whistling the music from Chariots of Fire when I watched the last video. Good show!